All political parties in India need Muslims for electoral survival. Sarkari Mussalman… meaning those who worked for the government. I faced this phrase… when I was a young Second Lieutenant. I saw a few excellent riders from Aligarh Muslim University playing Polo. … I went to them and asked, “Please join the Army. We need good riders. You will also get to play Polo”. As they were leaving, I asked them again, “Will you join the Army. This is the last bastion of secularism. You will never be discriminated for being a Muslim”. No answer came from them but one of them said, “You are a Sarkari Mussalman, so you will say that”. Lt General Shah’s explanation makes us aware of the fact that ‘Sarkari Mussalman’ should not be seen merely as a provocative title of a book. It is an explanatory template by which the attitudes, responses and actions of Indian Muslims, especially those who have become part of the so-called mainstream, are described and evaluated. Also read: Why is everyone so worked up over the phrase ‘Sarkari Mussalman’? This term is also used to make a distinction between the favourable/acceptable Muslims and the non-acceptable Muslims – the bad guys of the community. The good Muslims, we are told, would join the mainstream; while the bad Muslims would continue to raise sectarian demands and disrupt the progress of the nation. A number of different phrases are used interchangeably to describe good Muslims –secular Muslims, cultural Muslims, nationalist Muslims and so on – to counter the bad guys or communal Muslims, separatist Muslims, Pro-Pakistan elements and, more recently, the terrorist Muslims. In this sense, the Sarkari Mussalman is referred to as an acceptable and trustworthy agent of the state/government. The story of good Muslims versus bad Muslims is inextricably linked to the debates on postcolonial Muslim identity. It is worth noting that Hindu right-wing groups – the Hindu Mahasabha as well as the Jana Sangh – did not show any interest in evoking the good versus bad Muslim binary in the 1950s. They treated all Muslims as a homogeneous entity and asked them to Indianise their identity and religion and demonstrate their loyalty and patriotism. Also read: Mohan Bhagwat says no Hindu Rashtra without Muslims: Is RSS changing before 2019 polls? There are all kinds of trends among the Muslims in India and some of them are undoubtedly objectionable. I think, however, that we should not be led away by these and we should try to judge the broad situation objectively. 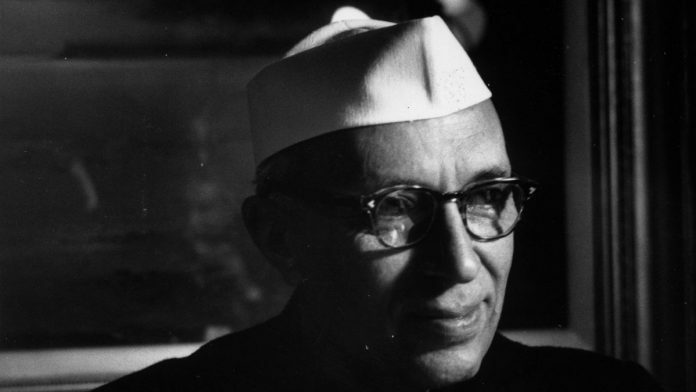 Being a serious political observer, Nehru emphasised more on the reasons, which forced a section of Muslims to feel isolated after the Partition, especially in north India. But the vocabulary of ‘good’ and ‘bad’ contributed significantly to set the ‘nationalist expectations’. After Nehru’s death, a new imagination of good Muslims began to take shape. More broadly, three categories of ‘good Muslims’ may be underlined. The English-educated, middle-class professionals, who have/had some association with Left-liberal politics, are the first type of Muslims. They are recognised as the ‘ideal type’ of community leaders. It is argued that this section would infuse the progressive impulse in the community and Muslims would be able to join the mainstream. Authors such as Khwaja Ahmad Abbas and diplomat Mohammad Yunus are examples of this type. Some incidents including the 1975 Jama Masjid incident, which took place in the past and during the Emergency, resulted in stress and strain and I am sorry that they left an atmosphere of misunderstanding and bitterness. Let this past be forgotten so that we can begin on a note of harmony and cooperation… We agree that all derogatory references to religious leaders should be deleted from textbooks. Our party is committed not to interfere in Muslim personal law… Urdu would be recognized as a second language to be used for official purpose in some areas. The outcome of this letter was quite obvious. The Imam not only supported Indira Gandhi in the 1980 elections but also legitimised his practise of issuing fatwas in favour of political parties. The rise of the BJP in the recent years has led to the third category of ‘good Muslims’, the nationalist (Rashtravadi) Muslims. Unlike the progressive Muslims of the Congress/Left, these Muslims offer an uncritical support to the basic premises of the Hindutva project. They take pro-BJP position on controversial issues by emphasising their religious identity as practicing Muslims. My physical appearance and “image” is that of a stereotypical Muslim. I have a beard, my wife wears a burqa, we pray 5 times a day, we’ve done Haj and we follow every Islamic tradition. But our views are enlightened precisely because we take the teachings of Islam seriously. The celebrated image of A.P.J. Abdul Kalam (a Veena player, a Bhagwat Gita reader, a Sanskrit lover and a Muslim scientist!) is a fine example of a Rashtravadi good Muslim. This may be the reason why he was preferred over Aurangzeb – the bad Muslim – for commemorating the ideal Muslimness in contemporary India. These versions of ‘good Muslims’ – either as Sarkari Muslim or as a nationalist – signify a specific norm in Indian politics. All political parties need Muslims for electoral survival – not merely to symbolically address the highly diversified Muslim community as voters, but also to assert political influence over other social constituencies. The good Muslims, in this framework, are shown as ‘lived examples’ who can fulfil the ‘standard expectations’ set for all Muslims. Thus, when RSS chief Mohan Bhagwat says that Hindutva without Muslims is meaningless, he is not entirely aiming at reaching out to Muslims. Instead, he is addressing the common Hindus, who still do not approve of Hindutva’s anti-Muslim rhetoric. The ‘good Muslims’ of the BJP/RSS, such as Zafar Islam and Zafar Sareshwala, seem to ratify this message silently through their symbolic presence in the party. Lt General Shah is right. Muslim symbolism is an unavoidable phenomenon of Indian politics and Sarkari Mussalman is just an illustration of it. Hilal Ahmed is an associate professor, Centre for the Study of Developing Societies. Muslim psyche in India is still that of a ruler. Muslim men particularly cannot forget hardly three hundred years before it was their man who was ruling from the Red Fort, no matter how small was his territory. Pakistan was created to satisfy the desire of muslim men not to be subjugated by Hindus, whom they do not think worthy of ruling. Those who left for Pakistan have their own life and philosophy. Those who stayed in India, there is a mindset of Sarkari Mussalman. This mindset did not happen at the time of BJP after 2014. It was there in 1950s, when government was perceived to be pro miniroty. There is no change in this mindset. Only difference is that they feel cornered and do not want to join the mainstream. That is why muslims that can play a deciding role in any election decide to vote for parties that give them a feeling of kingmaker if not king. It will be important of muslim men to shed the baggage of good vs. bad muslim, and join the mainstream in full force and vigor. They may see after a bit of effort, they are a part of the diaspora that is Indian. When partition took place in 1947 on the basis of religion , muslims should have shifted to Pakistan just like 95 ( 99.9 from w pakistan) percent Hindus came to India. That would have solved the problems for ever Actually muslims in India want to appropriate additional space from the remaing part This is leading to all the conflicts.